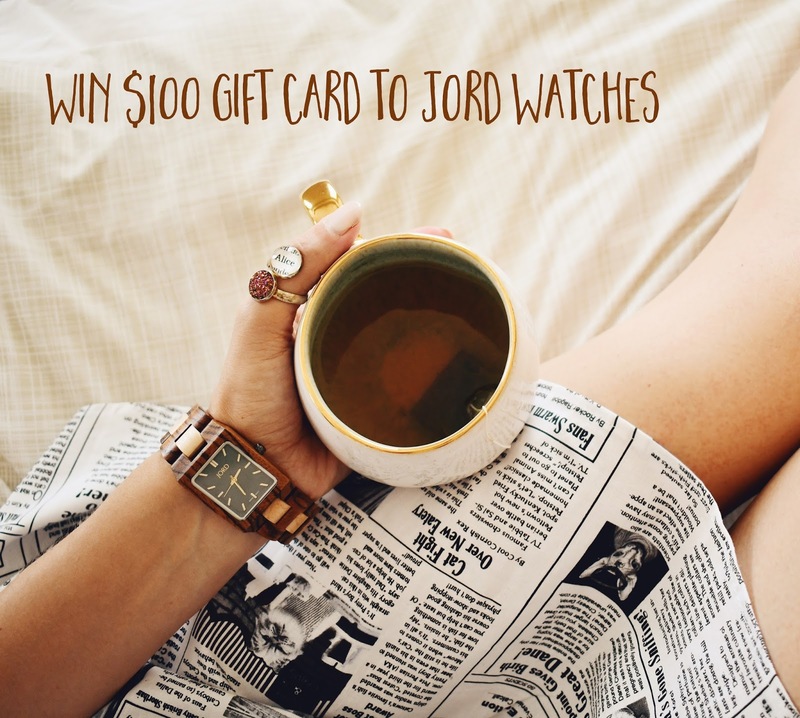 Bookish Lifestyle: $100 Gift Card giveaway to Jord Watches ! $100 Gift Card giveaway to Jord Watches ! I've been drooling over Jord Watches for quite some time now, and I can finally say: I've got one! Jord Watches was kind enough to send me their gorgeous Reece Zebrawood and Emerald watch for a feature throughout my social media and we are also collaborating on an awesome giveaway for you guys - details below! Jord makes such stunning, beautifully detailed and classic looking wood watches for men and women (and every amazing person in between)! The straps are fantastic - my zebrawood strap is thick and sturdy and looks so organic - love wearing it! But without further ado, here's how you can win $100 GC to Jord Watches! To be entered to win $100 to Jord Watches, click on the link below and fill out the form (it's super short and easy to do!). And even if you don't win, everyone gets 10% off discount! How sweet is that?